It’s almost Earth Day! 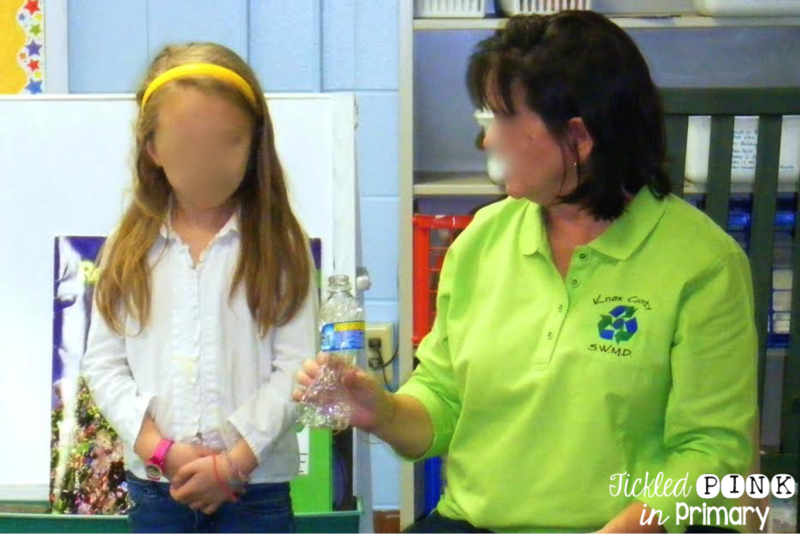 To celebrate, we do an Earth day craft, writing, and bring in a guest speaker to teach us more about how to take care of the Earth! I wanted to share with you what we did last year, so you’ll have some time to plan activities for next week. 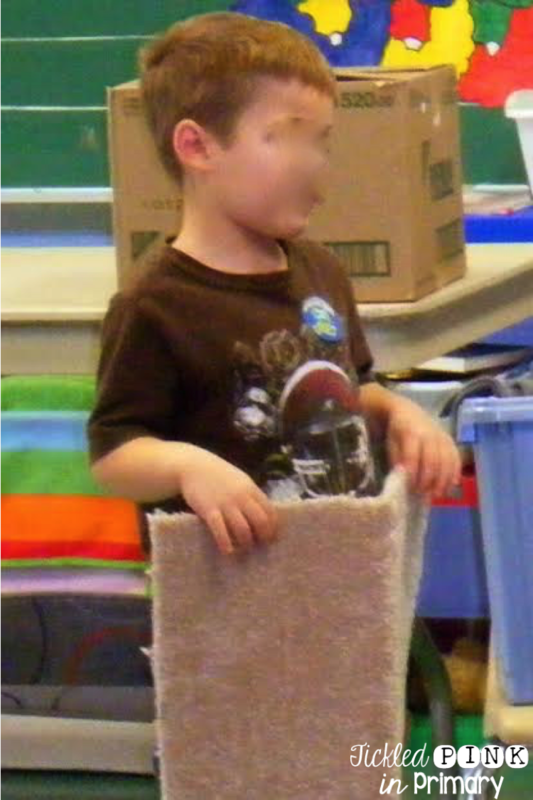 Last year we made an Earth Day craft out of coffee filters and turned it into a bulletin board! I’m sure you’ve seen this craft before, but in case you haven’t, here’s the simple directions! First, students color a coffee filter using blue and green markers. I typically put a big picture of the Earth on our board so students can try to make it look like the Earth. Next, they will use the spray bottle to soak the coffee filter so the colors start to blend together. I use a box, because the marker will bleed onto the table underneath. Let these dry. While they are drying, students can trace, color, and cut their hands out of construction paper. Next, they will glue them so they are “hugging” the Earth. Use this FREE writing prompt for students to write about how they can help the Earth. If you are making this into a bulletin board, attach their coffee filter Earth Day craft to their writing. I turned it into a bulletin board to celebrate Earth Day! Grab this FREE writing prompt to use in your classroom. There are 2 versions of the lined paper depending on your grade level. 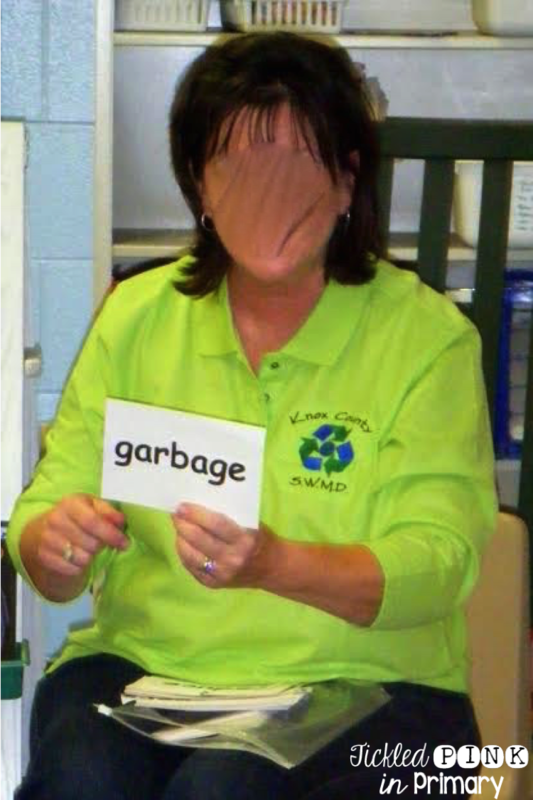 To continue our Earth Day unit, someone from our community Waste Management Dept. came to our school to do a lesson on recycling. She taught the students some vocabulary first. 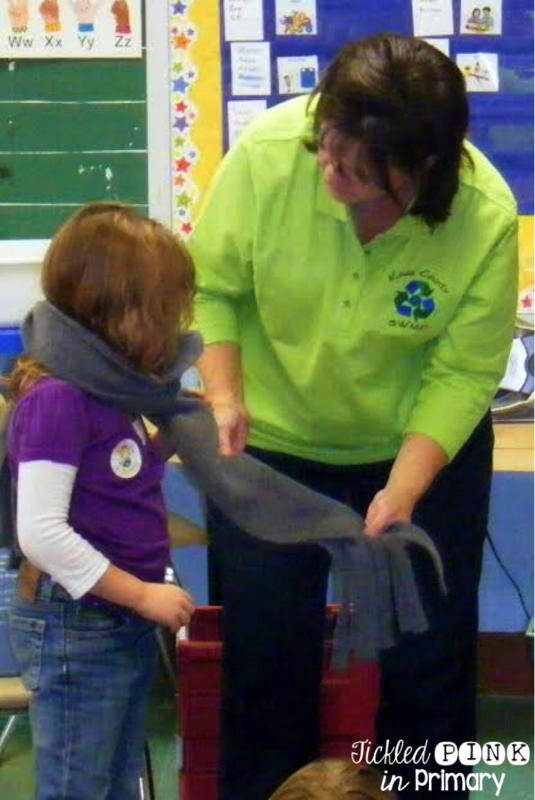 She showed us that by recycling, new products can be made from old products. Here are a few items she brought in that are made from recyclable products. She brought in a bag of trash and had the students work on sorting it into trash and recycling. It’s always fun to have a guest speaker come in, especially one that can make things age appropriate for Kindergarteners!